A 1,733 sq ft penthouse at the freehold condominium The Cascadia is on the market for $2 million ($1,154 psf). The two-bedroom unit, which has a private roof terrace, was purchased from the developer in 2007 as part of a bulk sale of 20 units at an average price of $1,540 psf each. It was subsequently sold to its current owner, a Singaporean, for $1.7 million ($981 psf) in 2011. The owner and his wife lived in the penthouse for about three years before renting it out in 2014. It was first leased for $5,000 a month to diplomatic staff working at the French Embassy. The unit is currently being rented by two foreign doctors until end-July for $4,500 a month, or a gross rental yield of 2.7%, based on the asking price. The seller intends use the profits from this sale to finance the purchase of a landed house, says Ryan Seah, associate sales director at Huttons Real Estate and the agent handling the sale. The unit has been on the market since late last year and has seen interest from en bloc beneficiaries and empty-nesters looking to right-size to a smaller property, says Seah. Many potential buyers are interested in the unit because of its freehold tenure, he adds. 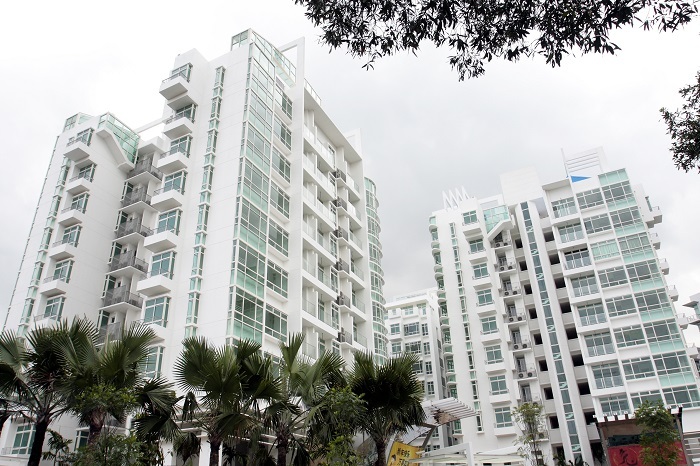 Completed in 2010, The Cascadia is located on Bukit Timah Road in prime District 21. The 536-unit condo has a wide mix of units, including two- to four-bedroom units from 882 to 1,593 sq ft; studios from 570 to 710 sq ft; as well as penthouses sized from 1,679 to 5,231 sq ft.
A unit that changed hands recently was a 2,368 sq ft, penthouse on the 10th floor that sold for $2.52 million ($1,064 psf) on Feb 12. On Dec 22, a 1,292 sq ft, three-bedroom unit was sold for $2.1 million ($1,626 psf).